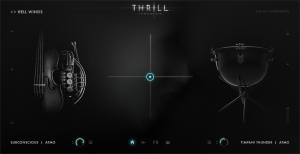 Native Instruments has released Thrill, a new instrument that enables the introduction of terrifying live scores to movies, games, sound installations, or theater productions. Thrill combines the epic power of an orchestra with the chilling depth of expert sound design, houses them within a simple performance-driven interface, and places them into the hands of a single player. NI say that using Thrill, a single person could perform the terrifying string tone clusters from The Shining, as Jack Torrance rampages around Overlook Hotel. An aspiring young filmmaker could single-handedly play all of Arrival's stomach-churning bass drones in just one take. Central to Thrill is an X-Y control for modulating effects and morphing between sounds. 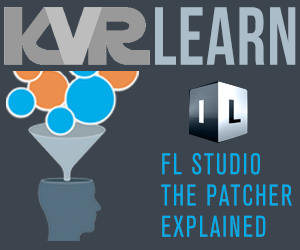 This control offers composers and sound designers something new – the ability to design and play complex cinematic textures and builds in real time. Simple and intuitive to use, the control blends between sound sources, effects, the number of sonic layers, general intensity, and more, depending on the preset being used. This X-Y modulator lends itself to trackpad, tablet, or even smartphone control (via TouchOSC), allowing sound-to-action interaction. Thrill also comes with a powerful tone cluster designer. Tone clusters are a special kind of chord, containing at least three adjacent notes, and are one of the staple tools for generating fear and tension in any audience. Thrill offers 250+ diverse and editable cluster sound and voicing presets, using the many types of pitched sounds in the Thrill library, such as strings and horns. Tone clusters can also be built from scratch, with up to eight independently editable and modulatable voices. Thrill was created in collaboration with sound master Uli Baronowsky of Galaxy Instruments. Already a trusted NI partner, known for Rise & Hit and Una Corda, Uli now brings his mastery of high-quality sampling, sound reinforcement, and innovative control to Thrill. Thrill runs in Kontakt 5 and the free Kontakt 5 Player, and is available at the NI Online Shop for €299 / $299 / £239 / ¥ 37 800 / AU$ 439. A free download containing recordings of 20 different Thrill presets in WAV format is also available here.